This implies that antibiotic prescribing nationally should be reduced by 10% by 2020, in accordance with the national ambition to cut levels of inappropriate prescribing in half. These data are published in 5 articles in a supplement to the Journal of Antimicrobial Chemotherapy. "Antibiotics are critical to modern medicine, saving millions of lives since the 1940s when they were first introduced. Using antibiotics when you don’t need them threatens their long term effectiveness and we all have a part to play to ensure they continue to help us, our families and communities in the future. "This publication highlights the role GPs can play and I urge all practices to look at ways they can reduce their inappropriate prescribing levels to help make sure the antibiotics that save lives today can save lives tomorrow." "Drug-resistant infections are one of the biggest threats to modern medicine and inappropriate prescribing of antibiotics is only exacerbating this problem. "We are leading the world in our response. Since 2012, antibiotics prescribing in England is down by 5% and we’ve invested more than £615 million at home and abroad in research, development and surveillance. But we need to go further and faster otherwise we risk a world where superbugs kill more people a year than cancer and routine operations become too dangerous." The research found that the majority of antibiotic prescriptions in English primary care were for infections of the respiratory and urinary tracts. However, in almost a third of all prescriptions, no clinical reason was documented. 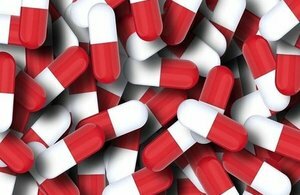 Antibiotic prescribing rates varied substantially between GP practices, nonetheless, there is scope for all practices across the country to reduce their rates of prescribing. Read the supplement Appropriateness of antibiotic prescribing in English primary care. Contact Daniel Luzer to request a copy of the journal supplement. This work was resourced by Public Health England (PHE).